Trojan.Gen.MBT is a Trojan horse and a type of malware that disguises itself as a useful application or file. Once opened, the infection instantly spreads throughout the computer system, altering many parts of Windows configuration. Viruses that are detected under this name have specific behavioral patterns but do not have a designated name. 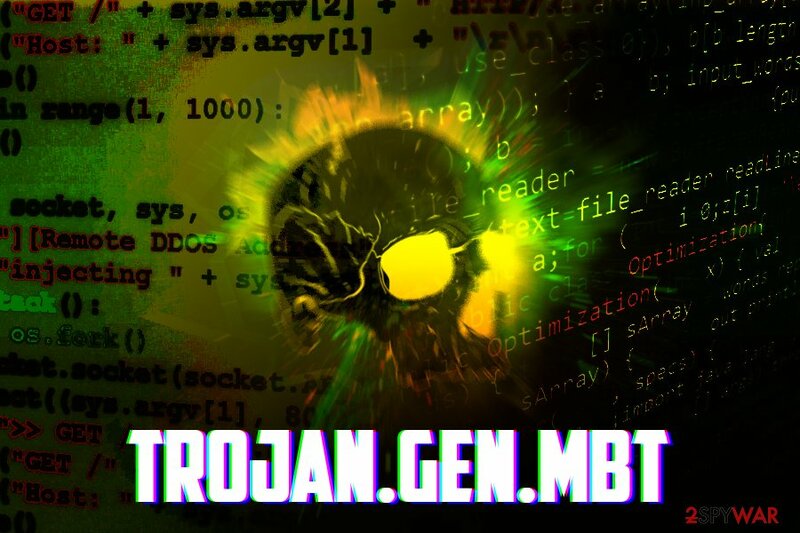 Despite that, Trojan.Gen.MBT can engage in a variety of malicious activities, including sensitive information gathering, installing other malicious software, redirecting users to suspicious websites and others. 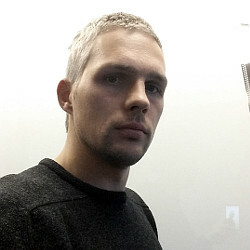 Consequently, a Trojan can compromise the computer entirely, although no symptoms of infection can be seen in most cases. Nevertheless, those who employ reputable security software can stop threats like Trojan.Gen.MBT without much trouble. Infiltration Spam email attachments, malicious links on social media or other sites, repacked or cracked software, fake updates, drive-by downloads, etc. Risk factors Other malware infection, inclusion into a botnet, sensitive information leak, money loss, etc. Symptoms Usually none, although some users might experience error messages, software crashes, redirects to questionable sites, system slowdowns, etc. Installed by other malware, etc. Because of Trojan.Gen.MBT virus can represent a different kind of Trojan infections, and the activities can vary greatly. Some Trojans might merely redirect users to affiliated websites for ad revenue, modify Windows registry, display annoying pictures or similar events that might be simply annoying. However, some Trojan.Gen.MBT infections can lead to devastating consequences, such as remote code execution on a host machine, sensitive information gathering, inclusion into a botnet, creation of administrative accounts, other malware installations, etc. Thus, Trojan.Gen.MBT removal should be the first priority. Trojan.Gen.MBT usually heavily modifies system settings. 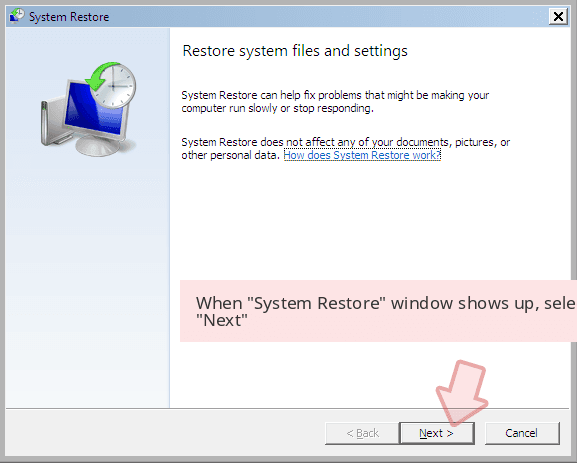 For that reason, you should scan your device with Reimage for full system recovery after Trojan infection. Some might think that malware infections are based on luck. However, it is far from the truth, and those who do not take of their online privacy and system security have a much higher chance of malware infections. Despite the popular belief, computer viruses do not get installed onto machines automatically. Users' actions, direct or indirect, are usually the main factors of malware infection. Therefore, you should take care of your online safety and avoid system compromise. The first step is to install a reputable security solution, internet shield and enable Firewall. These basic protection measures will already reduce the chances of getting infected at least by half. 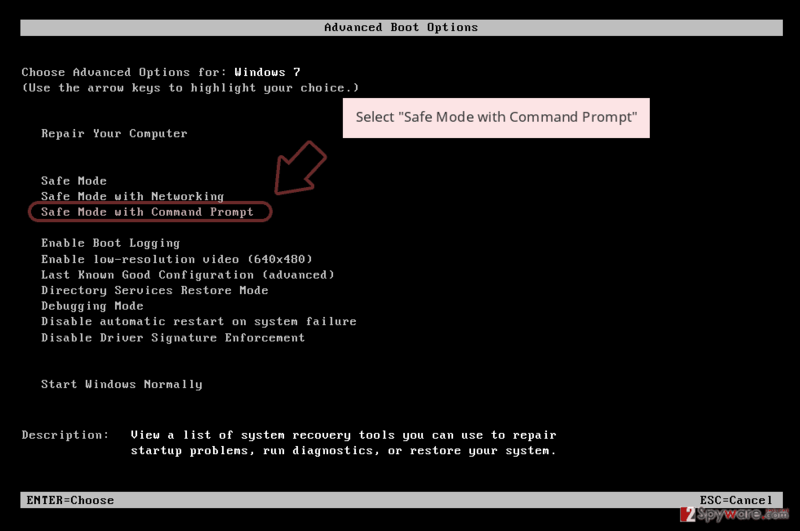 When installing freeware or shareware, pick Advanced/Custom installation mode in order to avoid PUPs and other threats. Because Trojan.Gen.MBT virus usually enters machines without leaving any tracers, users might not even know that they are infected for weeks or even months before they realize that something is wrong. This is another reason a comprehensive security software should be installed and updated on every computer (this includes Androids, iOS, and tablets) – it can remove Trojan.Gen.MBT before it even manages to spread on your computer. 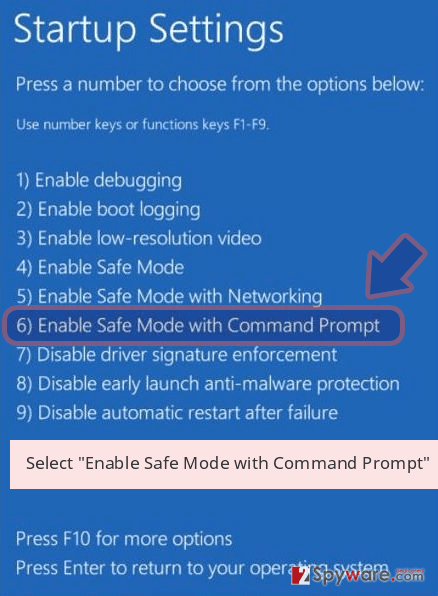 If infected, however, you need to make sure Trojan.Gen.MBT removal is executed as soon as possible. 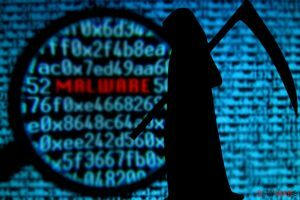 Beware that Trojans can install other malware, compromising your machine even further. 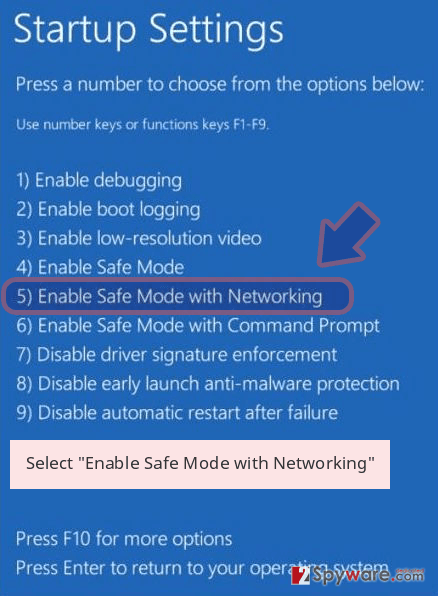 Depending on the severity of the infection, you might have to enter Safe Mode with Networking, as some viruses might try to tamper with AV operation. We explain how to enter this security environment that disables the virus' functionality below. Log in to your infected account and start the browser. Download Reimage or other legitimate anti-spyware program. Update it before a full system scan and remove malicious files that belong to your ransomware and complete Trojan.Gen.MBT removal. 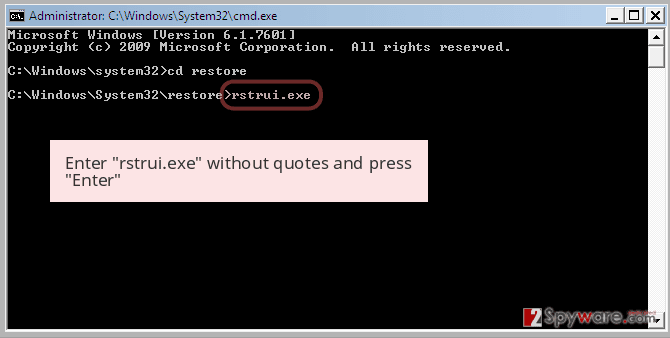 When a new window shows up, click Next and select your restore point that is prior the infiltration of Trojan.Gen.MBT. After doing that, click Next. 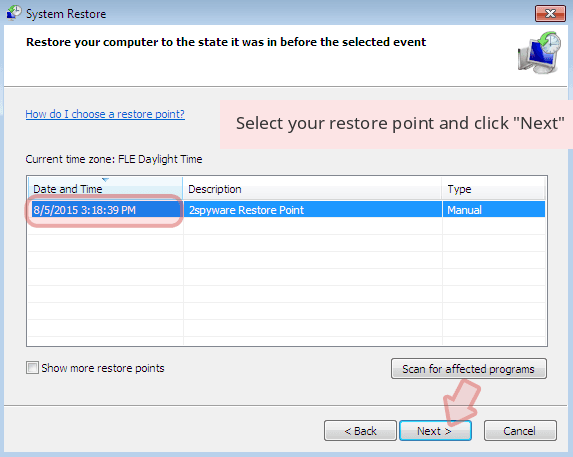 Once you restore your system to a previous date, download and scan your computer with Reimage and make sure that Trojan.Gen.MBT removal is performed successfully. ^ What is a “Drive-By” Download?. McAfee. Security blog. ^ Margaret Rouse. Remote code execution (RCE). SearchWindowsServer. 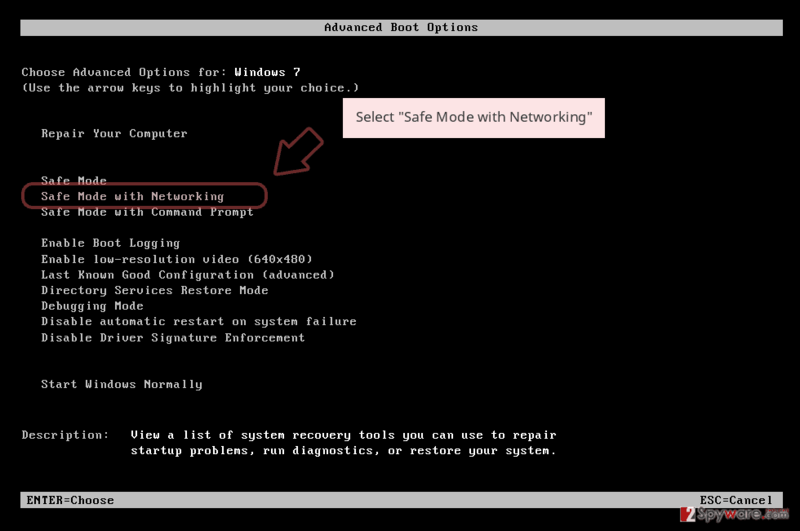 Windows Server information, news and tips . ^ Julie Splinters. Two-thirds of Android anti-malware tools on Google Play are useless. 2-spyware. Cybersecurity news and articles. This entry was posted on 2019-03-21 at 05:31 and is filed under Trojans, Viruses. You can quickly scan the QR code with your mobile device and have Trojan.Gen.MBT manual removal instructions right in your pocket. How did you remove Trojan.Gen.MBT?